Inspiration Nation continues at StampNation this week with another amazing photo. Click here to join now & learn more about membership benefits! 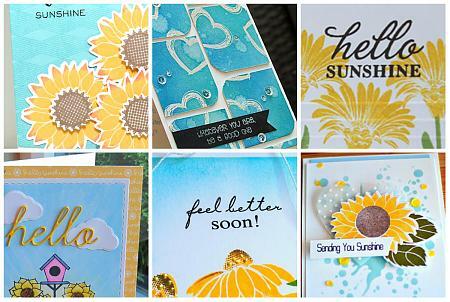 Love all of the sunflowers Kristie! Off to check them out at SN! These cards look great. Fall is just around the corner!